How long is a Saturn day? After decades of uncertainty, scientists have finally figured out the length of a day on Saturn. 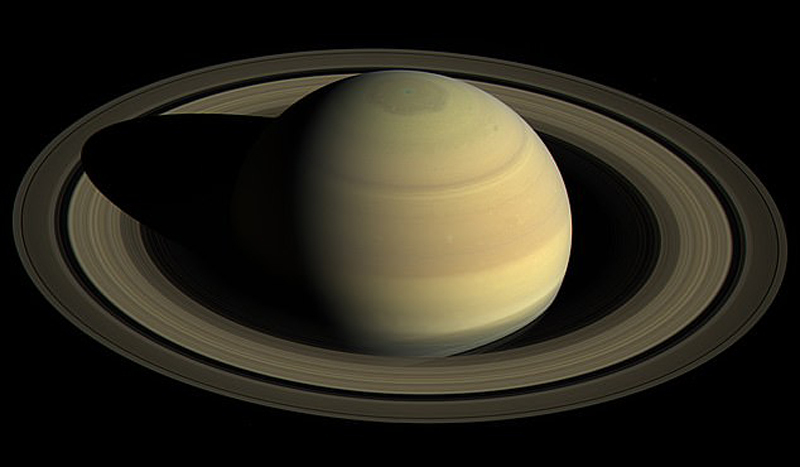 Saturn’s peculiar magnetic field and landmark-free surface have long stood in the way of scientists’ ability to determine its rotation rate. But, thanks to Cassini data, they’ve now solved the mystery. Vibrations picked up by particles in the planet’s rings have provided a window into the movement of Saturn’s interior for the first time, revealing a day on the icy planet lasts just 10 hours, 33 minutes and 38 seconds. According to a new study published in the Astrophysical Journal, the ring particles respond to vibrations within Saturn much like a seismometer might to an earthquake.